What Are IDE Hard Drives? Integrated Drive Electronics or (IDE) are a type of hard drive controller which bundles the components of the hard drive and its controller into one interface. This allows for much simpler installation of the hard drive into the system by removing the difficulties associated with the separation of the components and controllers such as the predecessor drives. This advancement has lead to several hard drive options which are both very large and very fast. 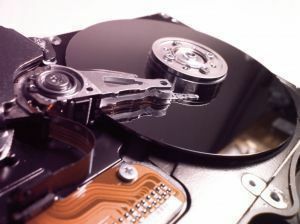 Taking advantage of these types of hard drives can be done in nearly any computer system in modern day computing. IDE hard drives are used in computer systems which require reliable and non-volatile data storage. 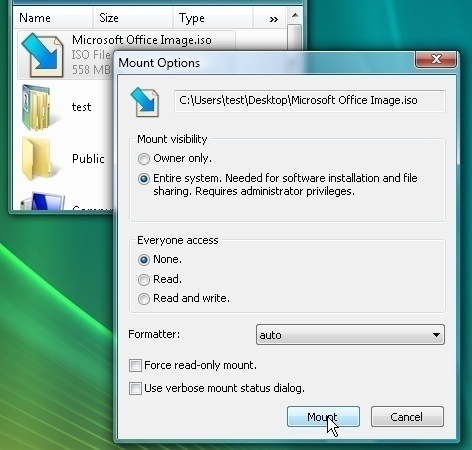 They are primarily used to house the operating system which is accessed by the system. Other options such as storage as secondary hard drives make it possible to use them for storage. The use of IDE drives in RAID configurations also makes it possible to have large amounts of storage on hand which is handled as a single entity. Many IDE drives are also converted into portable hard disks because of their non-volatile structure. The Spindle – The spindle is the portion of the drive which spins the platter. It is regulated to the necessary speed whenever it is reading or writing to the drive. The spindle is designed to spin to the required location on the platter where the information is stored. Platter – The platter is where the data is stored and read from whenever the hard drive is in use. The platter is made of specialized magnetic plates which store data by the use of the reader/writer head. The use of the head is controlled by the actuator. The Actuator – The actuator is a device in the drive which moves the reader/writer head over to where the platter stores data or is being ready for data reading. The actuator is controlled by the computer whenever the data is needed from the disk. Actuator Axis – The actuator axis is the portion of the actuator which allows for the movement of the arm where it is needed. The axis controls and restricts movement of the actuator to the location where it is needed to allow the head to write on the platter. The axis is different with each hard drive designed by different manufacturers. Actuator Arm – The actuator arm is the arm which is connected to the actuator axis. It is controlled to move the reading and writing head to where the platter needs to be read or written to. The actuator arm is made of durable materials to prevent damage when it moves back and forth at high speeds. The Head – The reading and writing head is designed to use frequency modulation to read and write to the platter. It reads and writes in binary which is very stable to store the data on the platters. 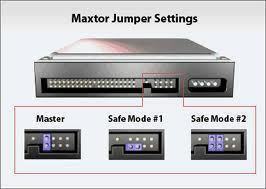 Jumper Block – The jumper block is a group of 8 pins which can have a jumper (a small metal clasp which connects 2 adjacent pins together) placed on the required pins for different drive mode settings. These can be modes for primary drive allocation, slave drive access or simple on an alternating option in the event of a failure of another drive. IDE Connector – The IDE connector is the 40 pin connector that is designed to make interfacing between the drive and the motherboard possible. Each pin is designed to have a certain function which is important for the components and the hard drive controllers to work correctly. Power Connector – The power connector is an important connector to allow for power to get into the hard drive. The power connector requires a cable which comes from the power supply. This has four pins which supply the power and groundings in the event of a power surge. 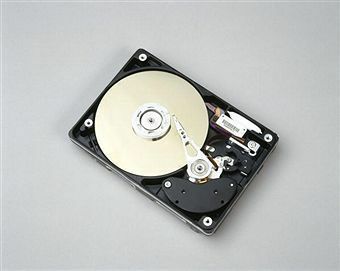 Hard Drive Housing – The housing for the hard drive makes it possible to keep everything together within the drive. The use of the housing ensures for the proper stability of the platters and moving components to prevent damages during the reading and writing process. Housing cases are usually made of aluminum which is not magnetically active. Drive Circuitry – The drive circuitry is important because it redirected the power being sent through the power connector. The drive circuitry us usually located underneath the hard drive housing and is usually placed well enough to fit easily into hard drive enclosures and brackets within a computer system. 131 queries in 0.427 seconds.